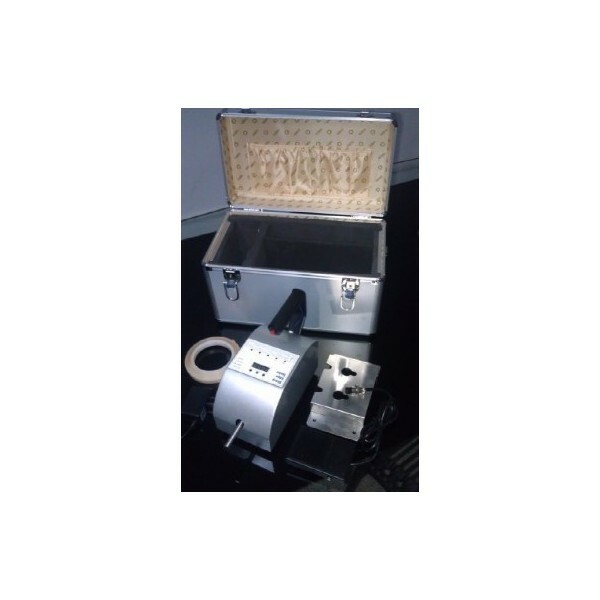 The XHF-60 Sharp Edge Tester is used to determine whether accessible edges on child-related products are likely to cause injury before or after use or abuse. It is applicable to child-related products for children of no more than ninety-six months, A self-adhesive PTFE tape is attached onto the mandrel which is then rotated for a single 360 degree revolution along the accessible edge to test and applies 1.35lbs on the accessible edge. If the tap is cut in half or longer in length (approx.05inch), the edge is identified as a hazardous sharp edge. The traditional sharp edge tester use scale line to adjust , it may cause the force value is not stable or difficult to adjust, our sharp edge tester adopt micro-computer contol method, with LED display, digital display load force, easy to use and adjustment. Accessories: Foot Switch, PTFE tape, tabletop fixed plate, rotating shaft.